Somewhere along the line a lot of Island women have lost the belt gene…or maybe they never had it. In any case, too many women here don’t take advantage of this key accessory. Let spring be your springboard to belt-dom. Haven’t got a waist? Not to worry. Sling a belt at the most narrow part of your hip. If you’ve got a waist, more power to you. 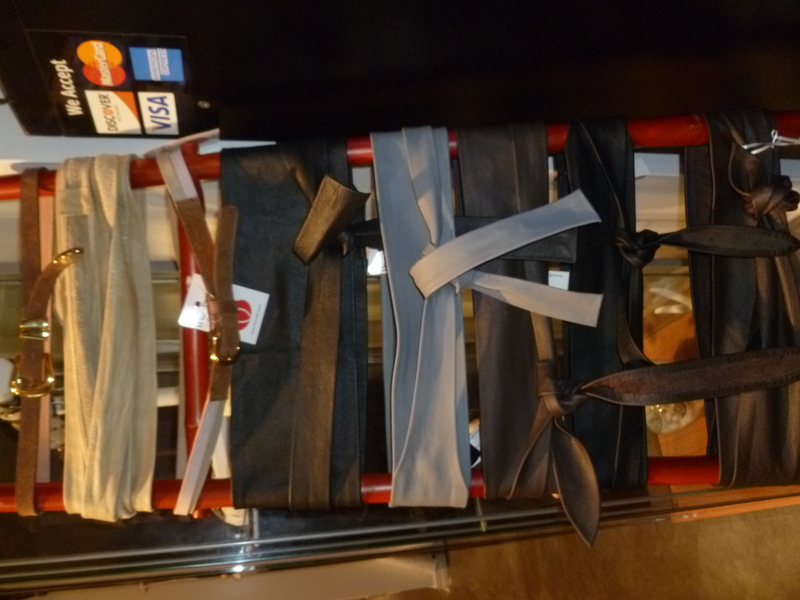 Go for the obi belt. Just be careful not to let a belt cinch too tight at the waist or it may make your hips look wider, not a look anyone wants to achieve. The secret to wearing a belt is to try, try and try again. Try it high, under the bust, to create an empire waistline. Try it low on the hip to cinch in a billowy tunic or dress. Try it at the waist for that Mad Men silhouette. Try it on a safari jacket to feminize a potentially severe look. But try it! 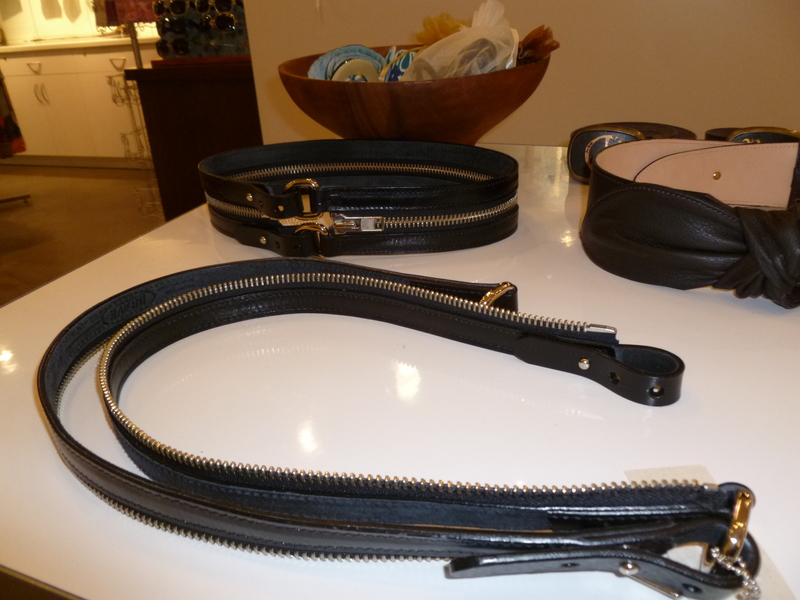 These Brave Beltworks from Therapy in Kahala Mall ($99 - $115) can be wrapped , tied and buckled anywhere along the leather strip. 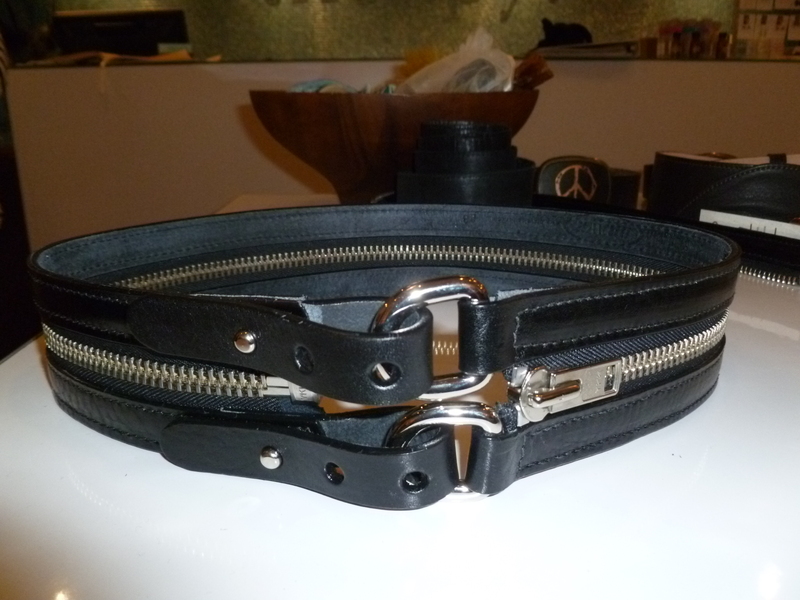 This zippered Brave Beltworks creation, also from Therapy, can be zipped up to wear on the waist or unzipped to create one long belt that can wrap around anyplace on the anatomy. 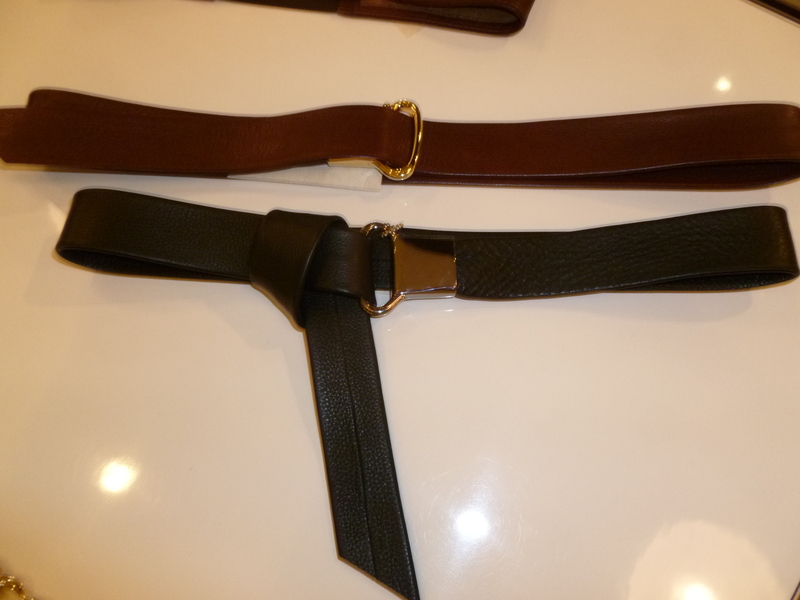 Obi belts and skinny belts from Elizabeth Kelly London are sold at The Butik for $72 – $84. Obi belts up close at The Butik. This entry was posted in Hawaii Fashion, Uncategorized and tagged Kahala Mall, Paula Rath, The Butik, Therapy boutique. Bookmark the permalink. 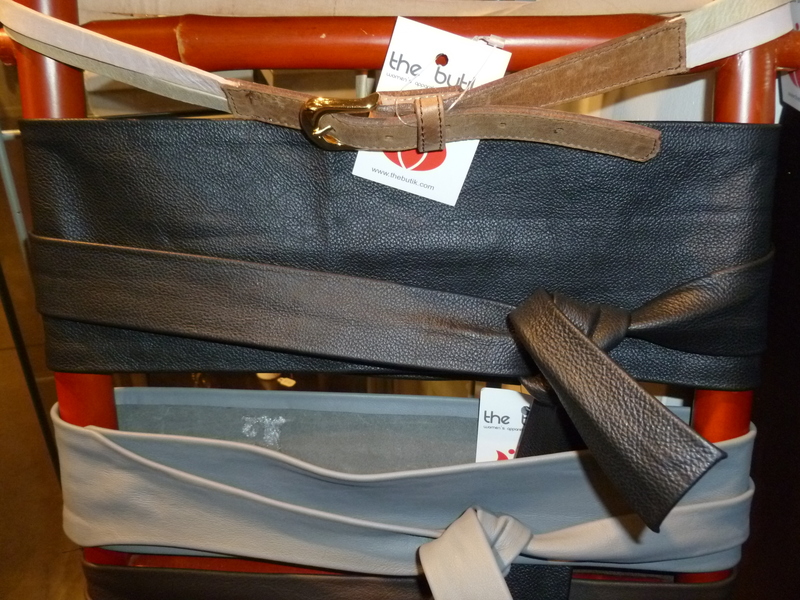 Great belts and a very diverse selection. Good one on women’s belts, how about one on men’s belts?